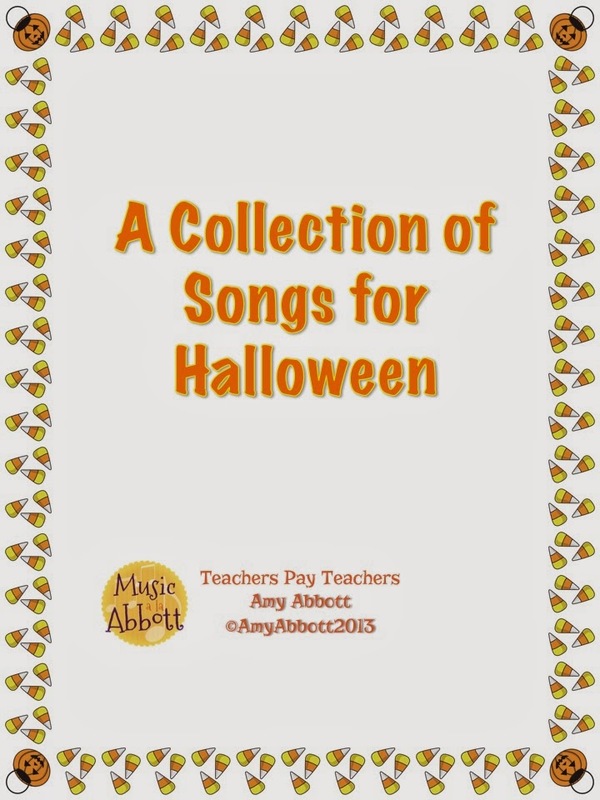 A collection of songs for Halloween! Ooooh, how I LOVE Halloween!!! It's been kind of a crazy fall: my student teacher is finishing up next week and we missed a week of school due to the Colorado floods. 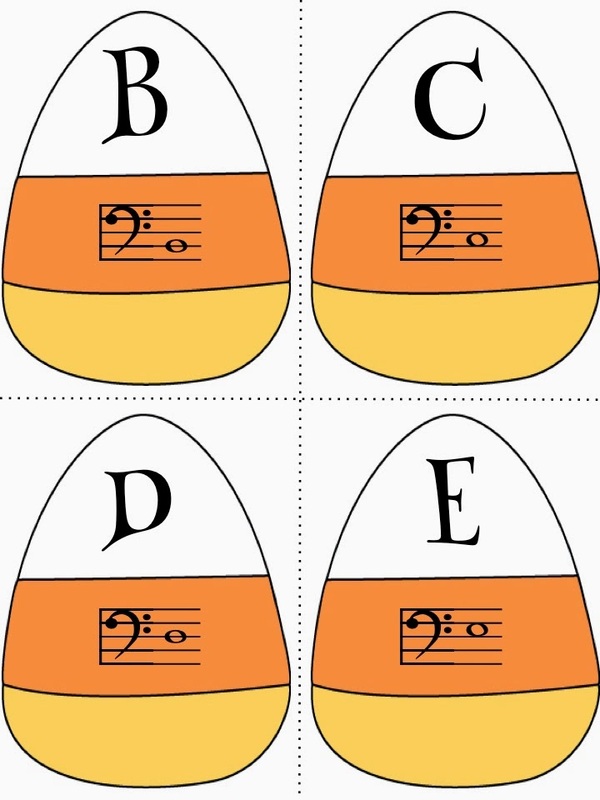 I can't WAIT to get back to my kiddos, October is so musically rich with some great rounds (Ghost of Tom, Ah Poor Bird), some great partwork songs (My Good Old Man), instrumental options (anywhere from Orff accompaniments to instrument exploration to dramatize poems and chants. 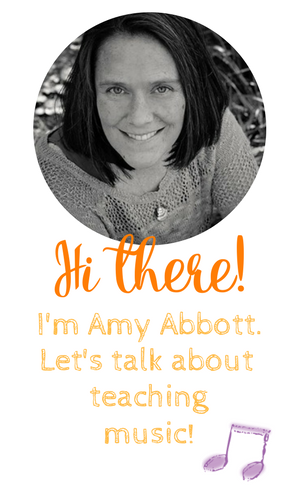 I will post soon about my Target finds, but I also just posted a bunch of files on my Teachers Pay Teachers store that will be fun to use this month, with a couple files that could be used any time throughout the year! This contains 18 songs (with either game directions, Orff accompaniment, Partwork ideas or a corresponding PDF) and 8 PDF files. The PDF files either have a rhythmic, melodic or both focus that prepares and presents applicable concepts. This one I developed out of the need to have a collection of activities that would get the kids up and moving yet still practicing rhythmic concepts. 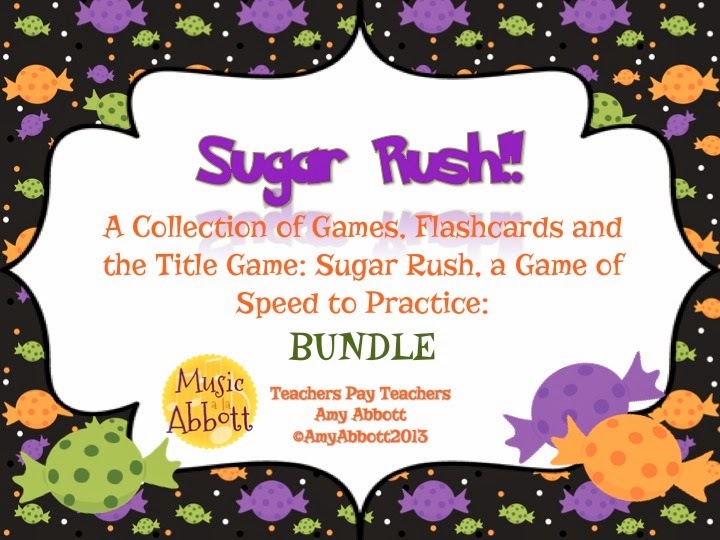 There are many versions of flashcards and games as well as additional activities provided that you can use these cards for, in addition to the title game, which is a Rhythm Relay Race. These can be used anytime throughout the year (there's no connection to Halloween. Some of the graphics are dark but the Sugar Rush Relay Game Cards are pretty non-holiday-specific. 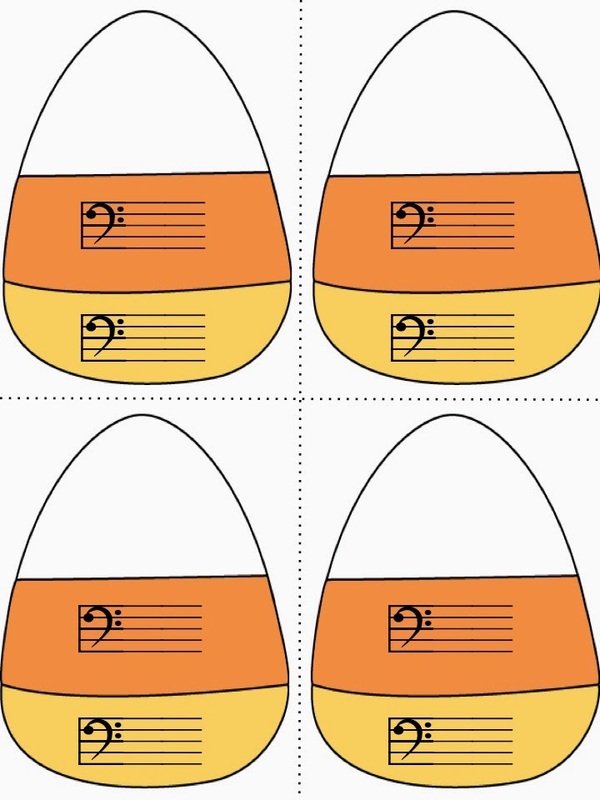 The last file I'm going to blog about tonight is my Candy Corn Notes! 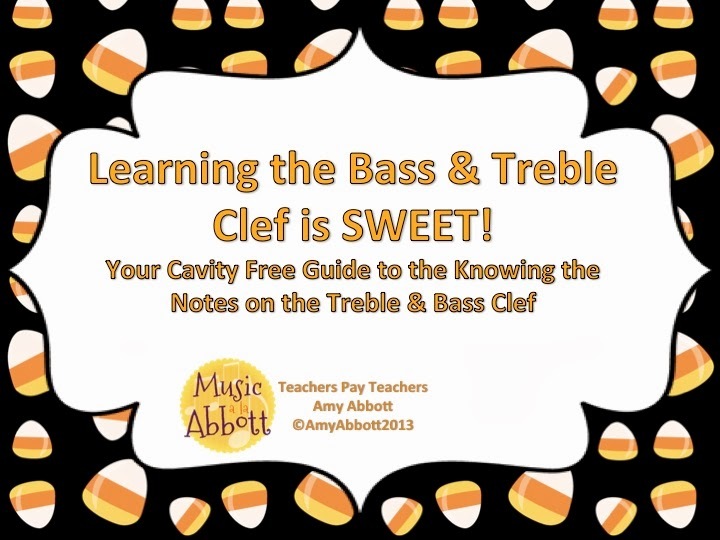 Your Cavity Free Guide to the Treble & Bass Clefs. 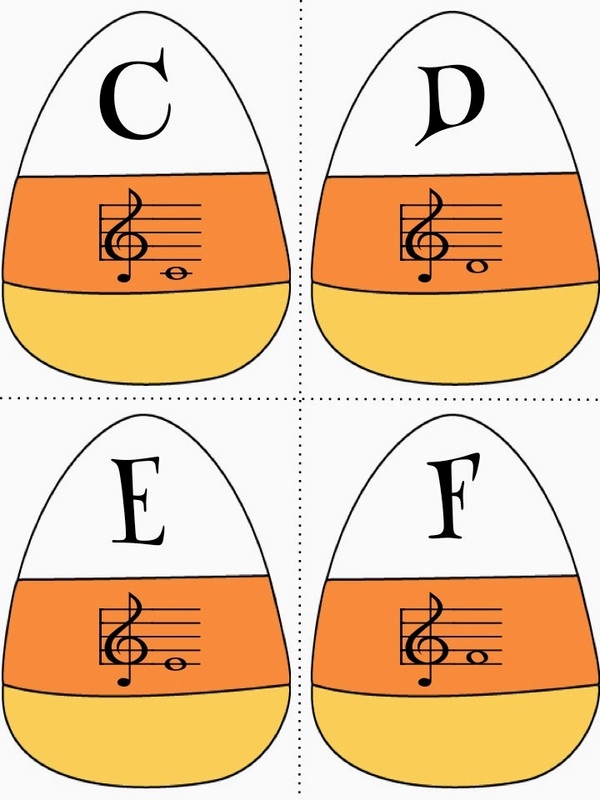 This was a fun file to make and is PACKED with tools to teach both the treble and bass clefs. 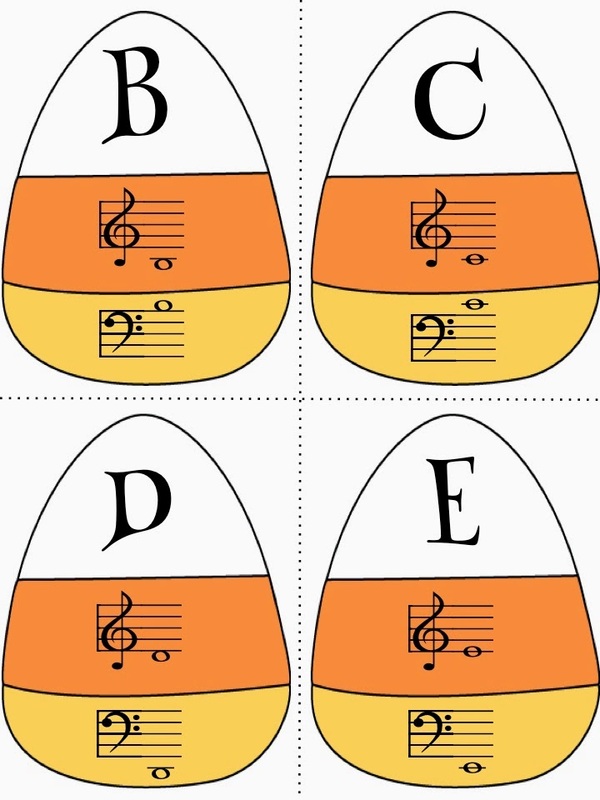 They are set up similarly to my "Be a Staff Detective" and "Spelling Bee" files, in that they have a PowerPoint that teaches the Bass and Treble Clefs. They also have a Staff to Word PPT game and a Word to Staff PPT game as well as MANY flashcards. They also have a Candy Corn Staff matching game, that has many variations. I hope you all had a GREAT week!! !